A trial in Pazardjik District Court of 13 Muslim leaders continued during the year. 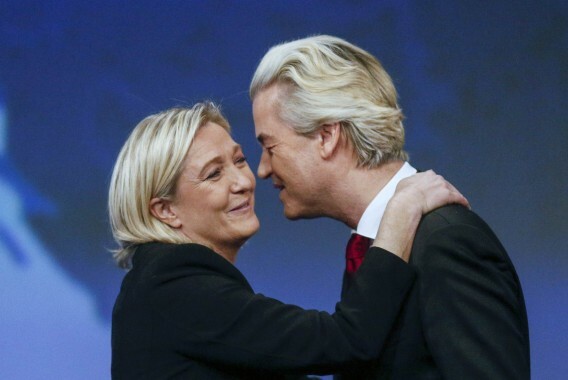 The defendants had been charged, in 2011, with participating in an illegal organisation; spreading anti-democratic, pro-Sharia ideology aimed at undermining the rule of law and basic human rights; and preaching intolerance and hatred of other religious groups during Friday sermons. The Chief Mufti’s office continued to maintain the innocence of the defendants and labelled the proceedings an attack on religious freedom. A two-meter tall wooden cross was hung in a mosque in a provocative act by unknown intruders on Friday. The incident took place at Karaca Pasha mosque in the southern town of Gotze Delchev, 200km from Bulgaria’s capital Sofia. The regional office also said similar attacks had happened recently and called for adequate protection against potential future attacks. Some 60 people stated a protest rally in front of Sofia Court House in the capital city Sofia against returning the mosque in the city of Kyustendil and other properties to the Grand Mufti’s Office, FOCUS News Agency reported. 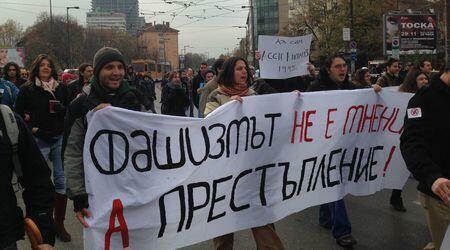 Football fans, Mayor of Kyustendil, Petar Paunov, angry citizens, and others took part in the demonstration. They carried posters reading “Let us save Bulgarian cultural monuments” and “Europe with museums, not mosques, no to Islamisation”. 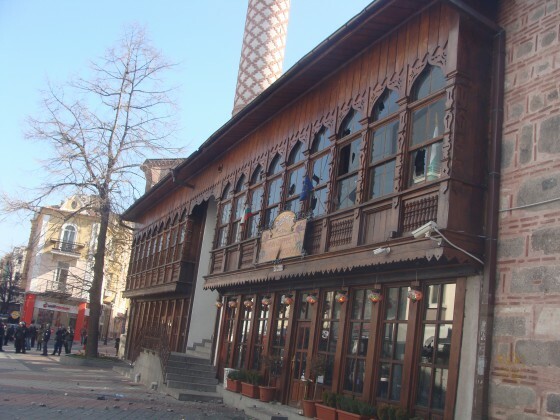 The first four people involved in a February 14 2014 mob attack on the historic Dzhumaya mosque in Plovdiv have been penalised under a fast-track procedure. Two were each fined 400 leva (about 200 euro), one was fined 300 leva and another was sentenced to two days’ detention. 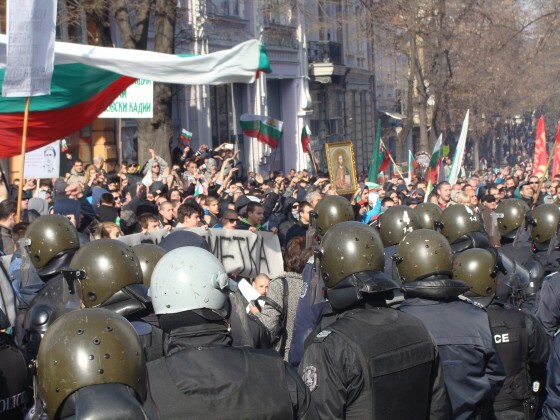 A further four of the 120 arrested during the melee in Bulgaria’s second city on February 14 were to be penalised on February 17, local media said. By February 15, just 10 of the 120 initially arrested were still in custody, prosecutors said. Of those penalised, none was from Plovdiv. They were from Sofia, Varna, Vratsa and the town of Kozloduy. Police worked overtime at the weekend on preparing cases against those accused, according to the Interior Ministry. 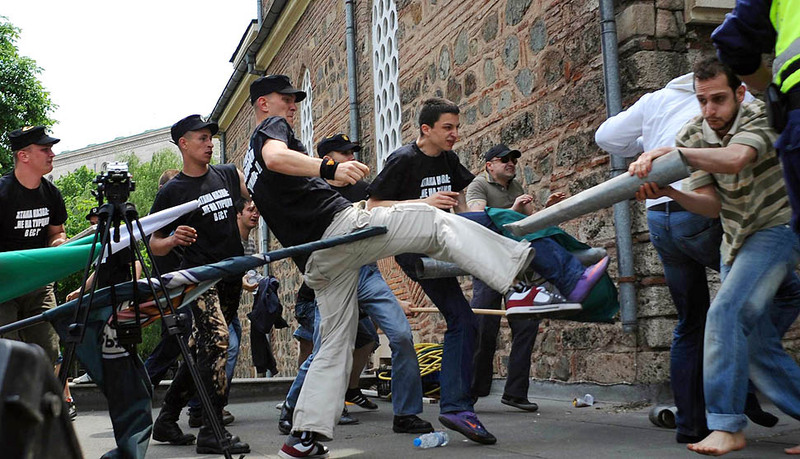 The conduct of the police in Plovdiv during the incident, which saw not only the mosque targeted with paving stones, fireworks and bottles, but also the crowd of about 3000 march on the Turkish consulate and the city headquarters of the Movement for Rights and Freedoms, has come in for criticism. 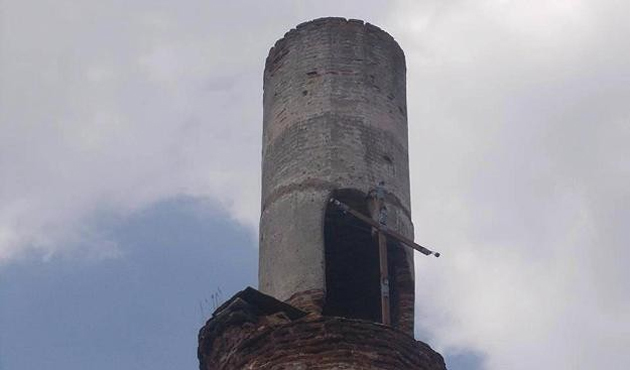 Centre-right GERB opposition leader Boiko Borissov alleged on February 16 that police deliberately had been pulled back to allow the attack on the Dzhumaya mosque. While the crowd were at the mosque, each blast of a firecracker or sound of breaking glass was greeted by cheers from the mob. After the smashing of windows, police began to attempt to move the crowd, unofficially estimated at 2000 people, back. During this engagement, three people were injured and one arrested. Reporters at the scene said that at the Turkish consulate, which is some distance away adjoining Plovdiv’s city park, demonstrators shouted, “you are not Europeans, you are barbarians”. Demonstrators also marched in the direction of the city headquarters of the Movement for Rights and Freedoms, the party led and supported in the main by Bulgarians of ethnic Turkish descent, saying that they wanted to occupy the building. Demonstrators chanted “freedom or death” and “down with the MRF”. More than 1000 people from all over Bulgaria, most of them from football clubs, took part in a protest in Plovdiv against claims lodged in court on municipal property by the office of the Chief Mufti, spiritual leader of Bulgaria’s Muslims. The claims were lodged on the basis of changes to the Religious Denominations Act. The amendments to the law extended rights to all recognised religious groups in Bulgaria to lodge such claims, a matter that has caused controversy in towns such as Karlovo where the Chief Mufti’s office lodged claims to a historic mosque building and adjoining real estate. Emotion in Karlovo has been generated around the fact of the town’s place as the birthplace of Vassil Levski, a Bulgarian national hero for his struggle against Ottoman rule, which cost him his life. Local media said that during the protest, the court building in Bulgaria’s second city was “besieged” by the protesters while traffic in one of Plovdiv’s main boulevards was blocked and traffic police had to seal off two other roads in the city. Protesters held posters reading, among other things, “Bulgarian land – we will not give away a single stone”, “If we lose control of Bulgaria, we lose everything”, “Stop the Islamicisation of Bulgaria” and “Down with the MRF”, the last being a reference to the Movement for Rights and Freedoms, a party led and supported mainly by Bulgarians of ethnic Turkish descent and the Muslim faith and also a party in the country’s current ruling axis. Reporters in Plovdiv quoted protest organiser Elena Vatashka as saying that it was “unacceptable that a country like Bulgaria, a member state of the European Union, could allow the Chief Mufti to own land. The court should take account of public opinion but not of political parties, she said. During the protest, a woman was seen wearing a headscarf was pursued by part of the crowd. She managed to find refuge by hiding in an art gallery, reports said. A fire broke out at a mosque which has repeatedly been attacked, causing serious damage to the roof on Thursday in coastal Bulgarian city Varna. The fire which erupted in the morning was extinguished by fire fighting crews. Noting the mosque had been attacked several times in the past, the Office of Bulgarian Islamic Affairs head Ahmed Ahmedov referred to how the attackers broke windows, drew swastikas, and wrote racist slogans escaped justice as investigations remain inconclusive. “While police investigate, we as the Office of Islamic Affairs will do our own investigation,” said the Muslim cleric. The office noted that nationalist and racist blocks have stepped up their aggressive acts against local and foreign Muslims amid the recent influx of Arab and African refugees in the country. Scores of Bulgarians gathered in front of the National Palace of Culture in Sofia for a protest rally against a rising tide of xenophobia and far-right political activism in the country. The rally is in response to a rise of violent acts against foreign immigrants and Bulgarians of non-Bulgarian ethnicity in the country.